When students express themselves through the arts, they develop emotionally, intellectually, and spiritually, thereby enriching the whole person. 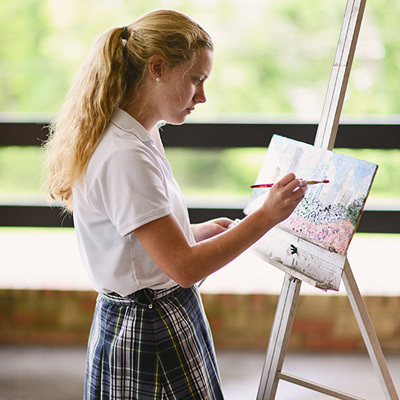 Your daughter explores the world of visual and performing arts at Duchesne through a wealth of mediums— paint, clay, pixels, lighting, sound, and film; voice, body, and heart. 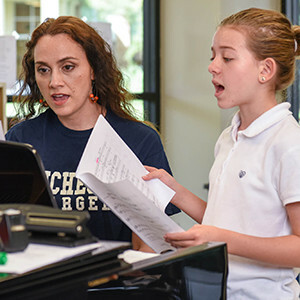 From age three through her senior year, she experiences a level of artistic immersion that suits her abilities and ambitions and furthers her capacity for discipline and exuberant self-expression. 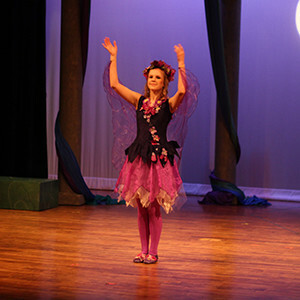 In all divisions she may interact with visiting artists, study the masters to hone technique, and take the stage for full-scale productions, such as Annie and The Wizard of Oz.